Most android users still get it difficult to understand some tutorials. Well it's time we all seek a solution to your problems and issue. This thread was created strictly for android users only. I know there are so many of us whose Android device might be giving you some problem or malfunctioning in one way or the other, please feel free to post the problems here so that a reasonable solution will be proffered accordingly. Notice: Android M is androids' latest operating system that was announced lately, it's a better version of lollipop and comes with great features. I published an article on how to download and install Android M Launcher on any android. do you mean ur internet speed? how can I prevent my android phone from bricked and can rooting my phone cause it to brick? Its simple. It just need a hard format and all your factory would be restored back. Once the recovery menu opens, you can navigate the menu with the volume buttons. You may need to open the Recovery menu to find the Factory Reset mode. Use the Power button to select your menu options. You will be asked to confirm the factory reset. Wait for the restore process to compete. After your phone resets, it will be set back to factory defaults and will be like it just came out of the box. Gud Day..i change my tecno Q1 chargin port & it refuses to power up since then.its displaying this particular image u use up here & it cannot power down unless u remove the ba3.an engineer said unless we flash the phone but i want to be sure b4 i proceed on that..
i change my tecno Q1 chargin port and its not be powerin up since then,its showing this particular android robot u use for this thread. pls what can i do?. 18 December 2013 at 10:35 delete This comment has been removed by the author. 18 December 2013 at 10:36 delete This comment has been removed by the author. What you need to flash the CWM. If you got any other problem, then let me know.. The only way you can repair your gionee p2 after being bricked is by restoring it via CWM. 1. You have minimum 60% charge on your phone else you might get stuck while the update process is running on your device. 2. Remove any security or Anti-virus app if you have them installed. 3. Enable USB Debugging. This can be don by Settings>Applications>Development and making sure that USB Debugging is checked. 5. Use only original USB data cable. # Rooting tool plus drivers. Download the motochopper rooting tool..
Ubuntu user open terminal & navigate to the extracted folder & execute “./run.sh“. Your Phone will now Reboot (restart) automatically. After the phone reboots, open app drawer & search for a newly installed app called Super User. Hope this helps.. Once your cmw is installed succesfully, then restore your bricked gionee p2 through it. If you have any other problem, then let me know. Then, the best u can do now is to take it to an Engineer 4 proper flashing and repair. They would help u with a new script for prober rom booting... If i should explain it here, u won't grab.. So go meet a very very very good engineer..
Sowie if i didn't help in a way. Hehe. Its been bricked a little, but u don't have any problem, simply do a hard format, follow my 4th comment. Thanks for the response, but that's exactly the way I formatted it when I mean I do format every two weeks just to make it comes back to a newly settings. yes my problem is data problem which network can we use for browsing? It might be ur Ram can't carry most of those games, so try to exit some apps when playing any of the high games and also boost ur Ram... Check in HERE for the tutorial. Chiboy na God na him go bless u. Thanx for all ur tutorials we find it helpful. Pls my own case is about three days ago my Tecno M3 screen light off, So I thought it has lock (screen lock) But wen I press the unlock button no light on the screen only the three buttons displayed light. It wasn't even want to off until I removed the battery. This thing has happened like two times. Pls help, wat might be the case. Tanx to u.
Chiboy please whenever i want to download an app from google play store on my tecno m3 it would tell me "cant download due to error (504)". Please tell help me out cos its browsing normally nd was downloading before. Simply remove ur google account and re-add it... Then it wud wrk. please i dont get u. Do u min i should uninstall my google play? Or wer wud i remove the account from nd hw wud i? 3.Select the Google account you wish to remove. It will be labeled with a "g" icon. 4.There will be a Remove Accountoption on the bottom. 5.Tap on Remove Accountto remove Gmail account. 1.To add Gmail account, open Applications tray. 4.Select Google. It will be labeled with a "g" icon. 5.Follow onscreen steps to add either a new or existing Google account to handset. Chiboy please help. I uninstalled my google play store hw can i get it back. Please help. I uninstalled my google play. I mean search 4rm google to download.. Thanks. please if i do factory data reset would it still work? Cos ma fone is going through diff crisis. I would like to strt again so that i wud get some tutorials frm u nd is there a way i dat i would nt lose all my apps nd files? Pls i nid any of ur social network info. lyk bbm pin, 2go username, ur mobile numba 4 watsapp. Pls chiboy i hav problem wit ma tec m3 . i was trying to synchronize contact to the mcard after that i remove the mcard insertin it back turn on d phone all i saw was *encryption unsuccessful * they will ask me to click factory reset. Which i did but d next tin that come up is error pls how do i solve this problem ..
For the L1 hanging, check whether it re-occurs on any other app except games, and for the pes 2013, you have to download the full data version of over 150mb for the game to fully run..
Have you removed the battery to check the moisture indicator? Don't grab.... What is ur question? My name is kenny...pls chi boy, I downloaded a font to my tecnoM3. So when it ωanτ̅ to re boot it will stop@ TECNO logo. I tried hard format bt fruitless. I now took it to an engineer, I dnt know what he did to it, its not switching on again. PLS HELP ME WHAT CAN I DO? ANY HOPE? God bless you bro. My Tecno P5 has suddenly stopped sending or receiving files via bluetooth. When I check the list of aapps under settings, I don't find the bluetooth icon there among the rest apps. I've done factory reset on it twice, but the bluetooth was not reinstsalled. What do I do? How can I cancel the message encryption in my Gionee P2?? It automatically encrypts without entering any pin. Please help me. Thanks. Chiboy, my phone is currently going off and on and I can't open it now, what should I do? I've tried reformatting it, I've been trying to put out the bat and put it back on(sometimes works but same thing still happens) help!! I've tried it until the step wherein I'm about to put the back up files but the phone really won't open, anything I do...I've tried putting the charger on but the phone wouldn't open. I found some sites saying that maybe it's something about a defective battery? I'm not so sure..
Have you tried replacing the ba33? My front camera on apps like instagram , snap chat etc are upside down . I have tried factory ready several times . help !? I have a Tecno m3. When I try to unlock it, often only the capacitive keys light up. The screen remains black unless I remove and reinsert the battery. (my phone is rooted with framaroot, I have solo launcher, SU, titanium back up, lucky patcher) could one ofthese be the problem? Did you comfirm if it's rooted with root checker? My techno p5 freezes,nd hard format isnt working,wat do i do? The best you can do is to load to recovery mood and format through there..
On what device do u experience such problem? pls my tecno p5 has a problem. when i touch the screen, there is no response and i have even switched it off and on. yet.still it comes on but on touching it there is no response. I advice u should switch of the 4n for sometimes, then remove the casing or screen protector if any is presence, and also the memory card with sim card. 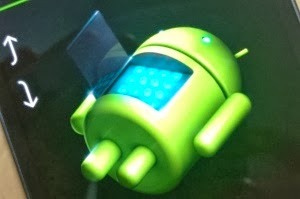 Wait for sometimes, like 5mins precisely, then switch it on into recovery mood to hard reset your android device. To hard reset, This usually involves holding down Volume-Up and Volume-Down button together and then pressing Power Button (every phone has different method). It starts your device in Recovery mode, you can do a Wipe-Factory-Reset from there. Use volume up/down buttons to navigate and press Power button to select. Be careful and don’t mess with other options or you may brick your phone. If any of this didn't work for urz, then it's time to claim warranty, or you can make change of touch-pad..
Baba Chiboy... U2much bro,mor ororo 2ur elbow. Thumpz up. 1, I make use of a Tecno P5,most tymz my files gtz corupt by itzself,n Im forced to install Y does dt hapen alwaz? 2, Hw do I backup my apps cos weneva I uninstall, I hv 2go back 2playstore to download again. 3, Pls. Hw do I root my fone? Thankz God Bless. First things 1st, whenever u purchase an android device, try to get an antivirus installed on it.. So, I would do advice u backup ur data and format ur device in other to avoid futher damage, and to root it, click here..
i mean there is no phone recovery.mod. Your device is bricked, to unbrick it click here..
PLS BOSS TANX FOR D TUTORIAL. but i cant boot into normal recovery..(volme up plus power wont boot into recovery mode..i think there is no recovery in my phone..factory reset not working..
Hmm... So what's the display when try formating it? Does the screen has any sign of crack on it? I advice you should flash the rom, seems like it's bricked... For more info about unbricking.. Click here..
@Chiboy, i was browsing with my Tecno Phantom Pad N9 and it suddenly tripped off and attempted to reboot, showing the Tecno logo name and then went off. I fully charged it before then so i know it was not a low battery issue, it connected my charger, it didn't charge either and refused to power on up till now. What do i do? Have you tried booting it to recovery mode?.. @Chiboy, I still don't know how to boot my Tecno Phantom Pad N9 to recovery mode, it doesn't power on at all. You can boot to recovery mode by holding "Volume down" key/"Volume up" key and "Power" key together.... Then format ur device through that process..
Xup chiboy, I'm using a gionee p2. My WhatsApp version is obsolete. So I tried downloading from my play store but it couldn't download. Is there any other means by which the WhatsApp will work? Pls my tecno m3 oprates itself,I have formatted it several times but it doesn't. Change anything pls what should I do. Try downloading 4rm there official site... And for the tecno M3 person, did you try a Hard format? how do i hard format it,pls help it gets worst day by day.i presd does buttons i saw format nd i did it bt its still operating itself. My tecno M3 has stopped connecting with the internet since last two weeks. Someone told me to flash it, that it has been corrupted by virus. Although, Apart from the network problem it has no other problem. Is it by only flashing that this problem could be resolved?. What network are u using on ur tecno m3?? Try unbricking... Check in here, second method is recommended..
hi, I use tecno r7 nd it fell from upstairs. d screen has spoilt plz where cn i repair nd how much will i be able to do dt. Fnx! i performed factory reset of my android phone but it is not starting it is just showing the boot screen again and again. i performed factory reset of my android phone but it showing boot screen again and again . it is not starting at all. A 403 error means your request was "forbidden." It does not mean you did anything wrong, it just means that the Google Play store servers were programmed to deny the request you sent. How to Fix Error 403: 1. Clear Proxy - Go to Settings -> Wireless and Networks -> Mobile Network then APN (Access Point Name) -> then Select Clear Proxy Option - After all these steps you can re-try downloading your material. Get Internet Strength -Sometime your internet strength connectivity is low. To improve or get your internet strength there is a little trick that you have to follow. Turn on Airplane Mode Profile (Wait until the indicator turns into an image signal plane) then Turn OFF same way you have enable it. Then wait till your phone get signal and internet connectivity. If this method was not worked for you then for some other method. Delete Search History -First open Google Play Store then press Menu Button then go for settings and finally select clear search history. But most of times this method doesn’t work but there is no harm to adopt it. Alternate Google Account Maybe there is an issue that is associated with your Gmail Account so you can try this method: -Create a new Gmail Account -Then go for Google Play Store then Press Menu Button then go for Accounts and then finally select alternative Gmail account (the new one) -After these two steps try installing the app again. Have you tried using another ba33 on it? My phone is getting slow.And sometimes a message comes that some threats are found.What should i do in this scenario? My gionee p3 is getting slow because of some threats. what should i do in this scenario? Hi Chyboy, im trying to disable the password for the screen lock on my tecno p5 and cant seem to find where to do it at the settings page. could you kindly help. Thanks. my tecno m3 fell down and after some minutes it is not responding,unless i remove the battery and put it again,and it will respond for some minutes and off again.showing me tecno,with the power on,i can't make or receive call at the moment.pls help me. Check ur settings... Security.. Then you should see pattern lock..
my tecno p5 keeps on freezing and refuses to go off and for me to power it again I need to take off the memory card. Putting the sd card in it still brings back the problem. what csn I do about this?